Solid state drives have come down in price significantly over the past few years, but they're still not on par with the price per gigabyte of mechanical drives. Enthusiasts and enterprise customers are willing to pay a premium for fast storage that holds up well, but there comes a point where costs go beyond the value received. Corsair is adding a 1.6TB version of its Neutron NX500 SSD that pushes the boundaries of consumers wallets when looking at the return of value. At $1,575, the 1.6TB NX500 is $0.98 per gigabyte of storage. Read speeds can reach 3,000MB/s with write speeds around 2,300MB/s using ATTO for benchmarking. CrystalDiskMark shows sequential reads of 2,800MB/s and writes of 1,600MB/s. Earlier this year we benchmarked the 400GB version of the NX500. 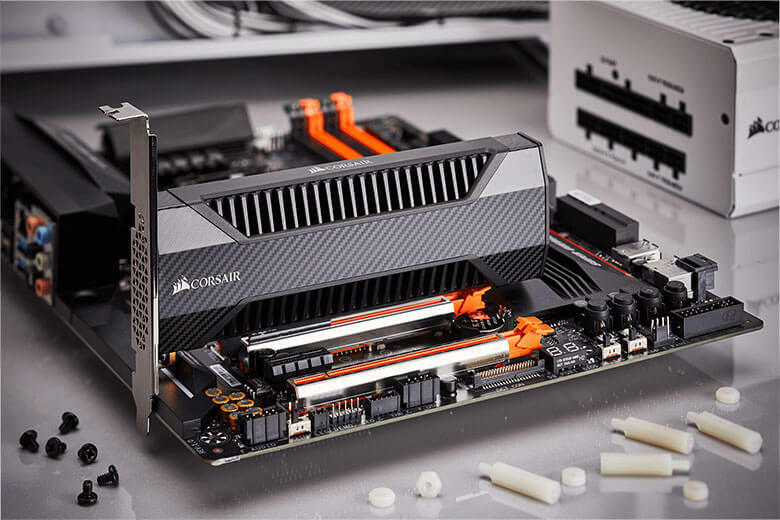 In short, it was found that the smaller capacity drive needed to be significantly cheaper to be worthy of a recommendation over high-end Samsung SSDs and Corsair's own MP500 model. Assuming that Corsair's official read and write speed numbers are accurate, it is safe to say that the 1.6TB model is also priced much too high to consider. The 2TB Samsung 960 Pro comes in at a lower price and with higher performance. The only place where Corsair truly shines with the NX500 is in extended writes due to the large black heatsink covering the drive. M.2 SSDs tend to start throttling down to as little as one-third their original performance after a large amount of writing is done to keep temperatures in check. Check out all the details of the Neutron series 1.6TB NX500, but understand that there are more cost effective options available.